In 1974 dpb Baking Company started as a small bakery in Calgary (Dutch Pastry Boutique) serving the neighborhood. In 2003 dpb broke ground on their state of the art commercial facility with 22,000 square feet of production space. 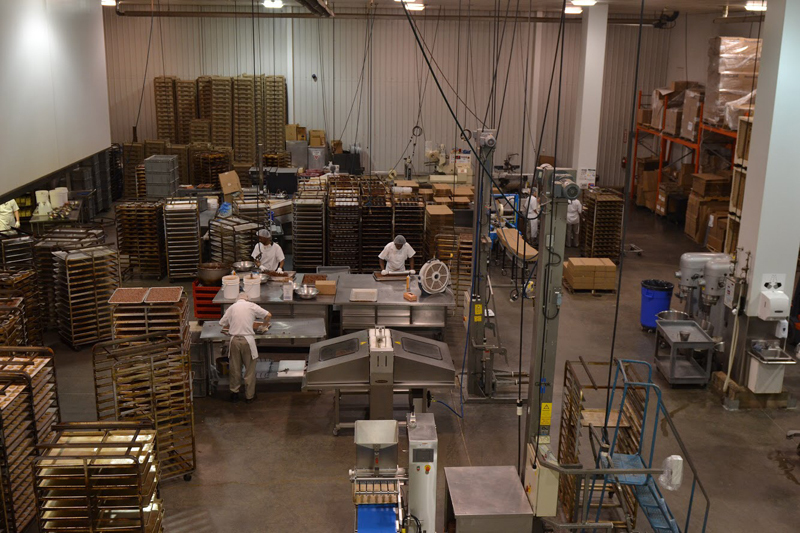 With over 40 years in operation, Jacques Ahsmann has grown from retail baker to baked goods producer with 30 plus employees, overseen by his son and business partner Paul. As the market is ever changing, dpb is changing as well. Until five years ago we were primarily supplying ready baked items to the Food & Beverage Sector. Now we are creating and producing a full line of products for the grocery industry. We have a baked cake/cupcake program, and a ready to bake program including muffin batters, scones, croissants, and danish. Our buttercream icing remains a front runner in our product line as it has since its launch in 2013. Our most recent endeavour is our own branding for the retail icing. It is a very exciting time for DPB as we grow into and exceed Jacques vision.